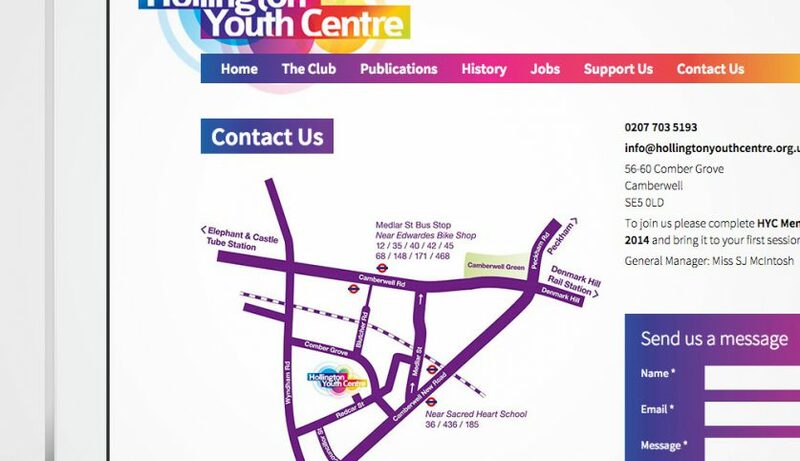 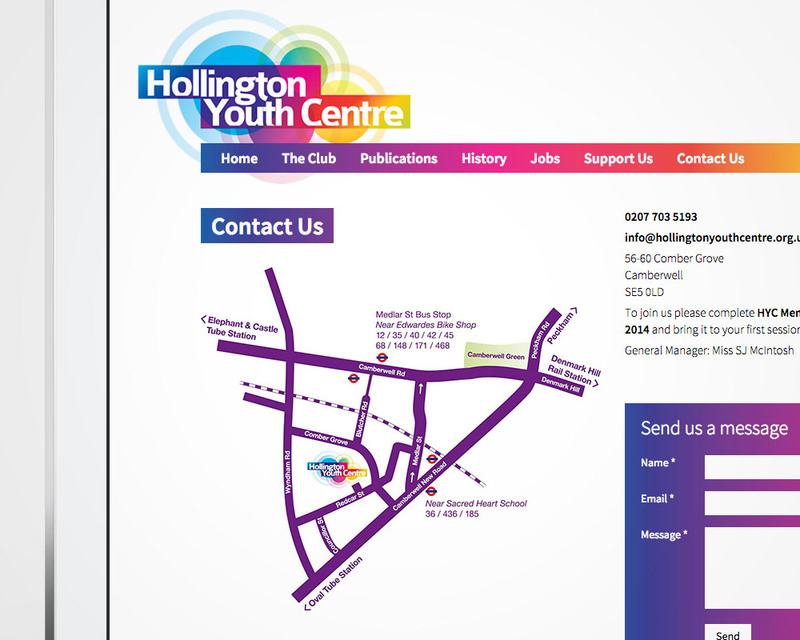 Hollington Youth Centre is a youth centre in Camberwell, London working with young people aged 8-19 offering a wide range of activities and sports. 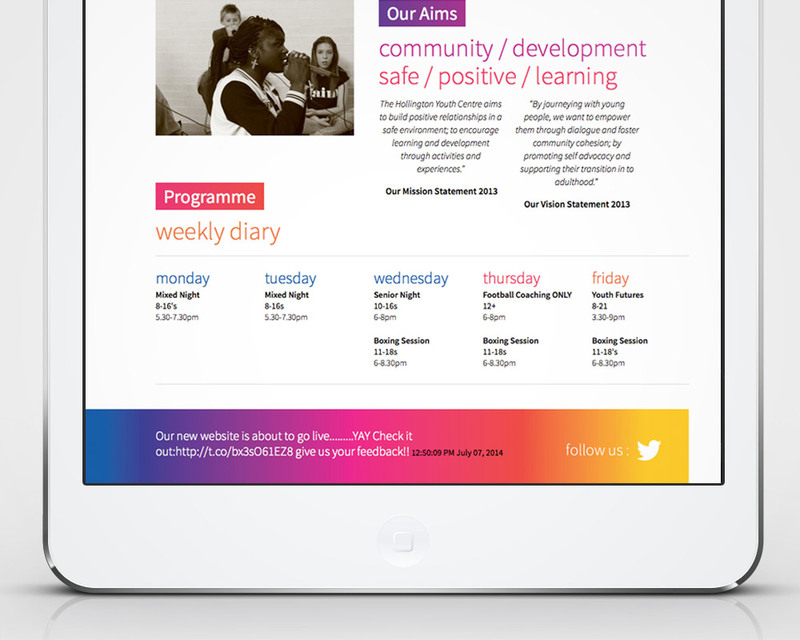 We designed and launched a new website for the youth centre, as part of a wider identity redesign for the organisation. 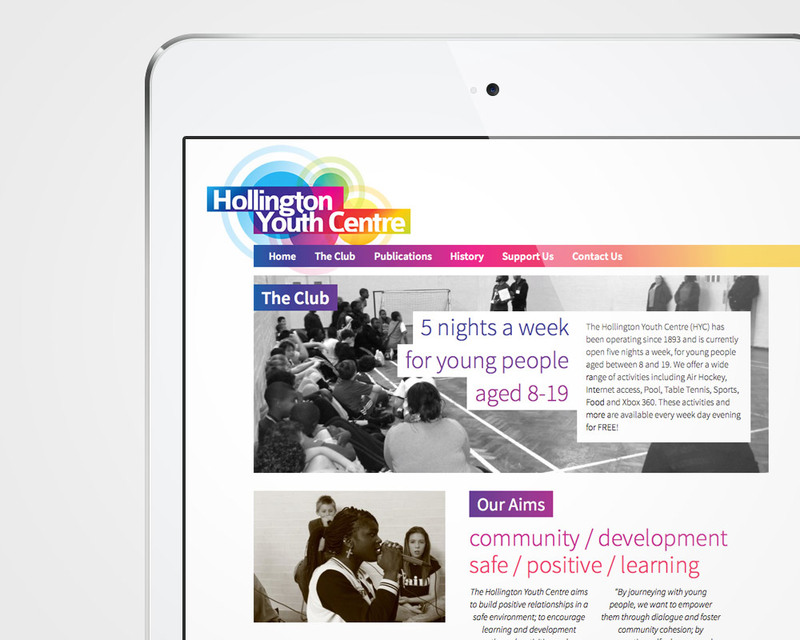 The new website features the youth centre’s new logo design, colour scheme and type styles, creating a distinctive and vibrant design.